Ed. note: Paul O’Rourke is a historian, writer, and film critic. This is the first of two posts on the Telluride Film Festival in which he shares his impressions of the films that screened over Labor Day weekend. 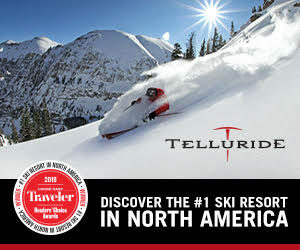 What accompanies me, or anyone for that matter, to any Telluride Film Festival are the expectations. What movies will be screened for the first time? (The obvious one.) Which actors and filmmakers will show up in Telluride? (The next and equally obvious, and perhaps most anxiety-filled inquiry.) But there’s another question I asked myself this year after reviewing the lineup of films and anticipated guests: What am I looking most forward to viewing? I put that question to Peter Sellars, resident curator, Guest Director (1999), gregarious and exuberant film ambassador. His response, following a congenial hello, standing in front of the elevators at the New Sheridan Hotel on Thursday night as the festival prepared to kick off: I’m looking forward to all that I’m not looking forward to. Perfect. What makes this four-day celebration of film is its full schedule of surprises, magical moments in any number of special films that I, you—and no one—saw coming. I went into The Old Man & the Gun with high expectations. It was the first film I viewed at the festival. David Lowery (A Ghost Story, Pete’s Dragon) said he made this film so that he could bring it—and himself—to Telluride. 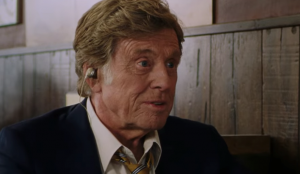 And, well, with Robert Redford cast in the starring role, reportedly his last performance as a film actor, what could be better? With Redford as the old man, a rather aged and habitual bank robber (and subsequent prisoner and equally habitual escapee) with “the gun,” Sissy Spacek as the old man’s “love” interest and conscience, and Casey Affleck, as the “law man” and the old man’s dogged pursuer, the film offers the audience a meaningful yet light-hearted film experience, and a worthy and feel good, good-guy “outlaw” curtain call for Redford. I have to admit I had my doubts about First Man. Was this going to be a biopic about Neil Armstrong made tantalizing and, forgive me, more marketable via his portrayal by Ryan Gosling? Thankfully, I was so very, very far off. Damien Chazelle (Whiplash, LaLa Land) along with screenwriter Josh Singer (Spotlight) make very clear that this excellent film—on many levels—is all about accomplishment, character, sacrifice, and an almost blind yet stoic dedication to a dream carried out by a very brave, if not overly hubristic corps of astronauts and those behind-the-scenes wives and families who suffered as much as the protagonists themselves. Perhaps the point of this majestically filmed and extraordinarily scored film is that what constituted the right stuff during Neil Armstrong’s day is sadly and tragically absent in our time. GO SEE THIS FILM. I would have never imagined the day when Melissa McCarthy would attract my attention. Sorry, I’m not—or at least wasn’t—a fan. But after seeing Can You Ever Forgive Me? please count me among the converted. McCarthy, along with co-star, the engaging and worldly humorous Richard E. Grant, provide a comedic if not less-than-legal romp through the world of literary memorabilia in Manhattan’s Upper West Side. Director Marielle Heller expertly and lightly takes us along the true yet adapted life story of author and unique character, Lee Israel, in this not-to-be-missed film. Emma Stone (LaLa Land, Battle of the Sexes) in an early 18th century period piece located in the Court of Queen Anne? I’m not exactly certain how I can best describe The Favorite other than to say it’s composed of an extraordinary three-woman ensemble (with a cast of hundreds, of course) who expertly and viciously at time illustrate the ostentatious and contentious and apparently female-influenced intrigue that occupied the Queen’s Court at the time. The rivalry (it was more like an 18th century cage match) between Abigail (Emma) and Lady Marlborough (Rachel Weisz) to win (or extort, as the case may be) the favor of the docile and ever compliant Queen (Olivia Colman) is what moves the film along in an amusing and sometimes shocking track. The three women protagonists, while dressed in elaborate period costumes (designed by Sandy Powell), wear little or no make up. The men, however, are exquisitely attired, coiffed, and overly made up in direct contrast to their female counterparts. Not that there’s anything wrong with that, but beyond this what is certain is that Director Yorgos Lanthimos is informing his audience the women make the rules, they change the world, and they are what makes this engaging and delightful film worth viewing. This is the first of two installments on the 45th Telluride Film Festival. The best, as they say, is yet to come. Stay tuned.